Global Aircraft | Impeccable 2015 Phenom 100E for Sale! 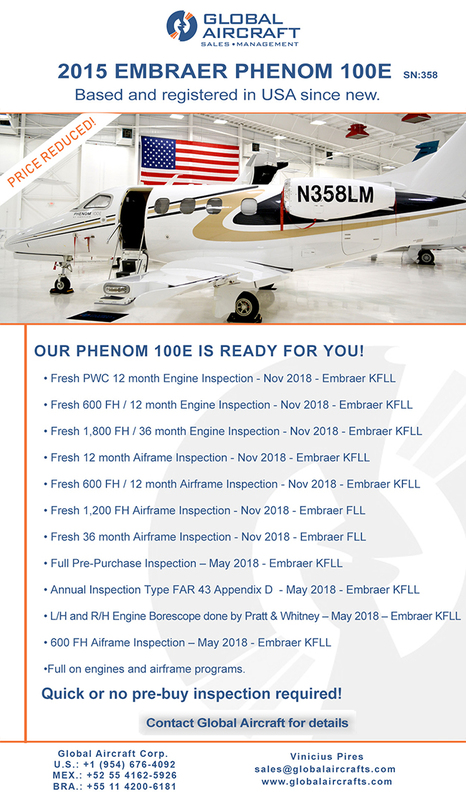 Our Phenom 100E is Ready for You! Quick or No Pre-buy Inspection Required!